HEIDENHAIN products are designed for serviceability. Our fully equipped workshop is regularly audited by HEIDENHAIN and we use only genuine original HEIDENHAIN spares. We can clean, overhaul and re-align linear scales, usually within 2 working days of receipt. 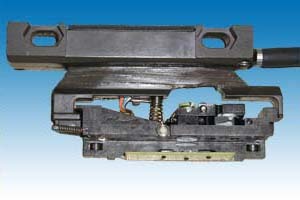 Where possible we will provide an emergency repair service for 'mission critical' linear scales. Replacement and programming of reader heads for absolute linear scales. We can also repair and service HEIDENHAIN's digital read-outs (DRO) and offer serviced counters for exchange or sale. As well as repairing HEIDENHAIN equipment we can also test and service many other makes of DRO, linear scales and rotary encoders. We supply and install service exchange CNC and servo drives. We use only genuine HEIDENHAIN service parts which come with a warranty. 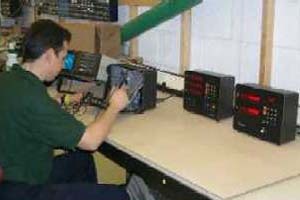 We will take a backup of your HEIDENHAIN CNC to ensure that in the event of a failure your machine can be restored with a minimum of inconvenience. HEIDENHAIN offer a range of flat screen TFT monitors to replace obsolete CRTs. We also have a full range of compatible non-Heidenhain LCD monitors which are more cost effective, particularly for the older CNCs such as the TNC155 and TNC360.